Prosper, Texas is a suburb 35 miles North of Dallas with about 16,000 residents. The City of Prosper is served by the major highways of the Dallas North Tollway and Hwy 380. In 2015 the median price of a single family home in Prosper was $426,000. The City of Prosper focuses on families, small town ideals, and a good quality of life for all residents. 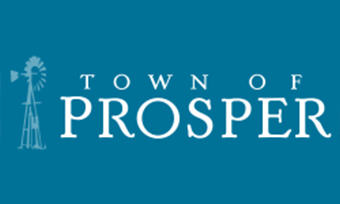 There are many yearly activities the City of Prosper puts on for its residents and visitors such as the Fourth of July celebration, Prosper Founders Fest, the Community Picnic, the Fishing Derby, and The Christmas Festival. The Parks and Recreation Department provides over n350 acres of open spaces, 15 miles of hike and bike, recreational facilities, and sports complexes. There are about 100 businesses in Prosper. The City of Prosper location makes it an easy commute for residents to get to work in the North Dallas area, airports, shopping, and entertainment.